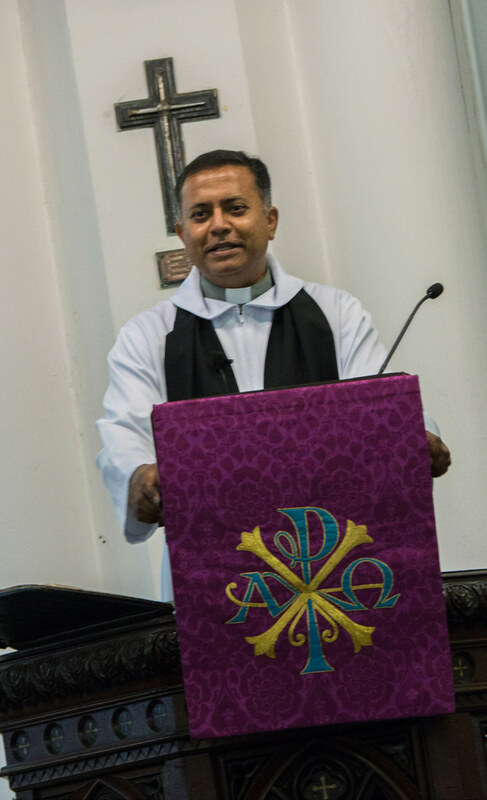 The Cathedral welcomes the Revd Joshua Raj, a married father of three who recently began serving in our various areas of ministry, notably in pioneering our Tamil Service starting on April 7th 2019, 9am at the Chapel for All Peoples. In this interview, we catch up with him during the workweek to find out more about his roles at the Cathedral! THE COURIER (TC): Hi Revd Joshua! Welcome to the Cathedral family! Could you begin by telling me a bit about yourself? How did you become a Christian? TC: What was the primary and main impetus for your going into fulltime ministry? JR: I felt that I had a calling to fulltime ministry maybe a year or so after I came to know the Lord. I was involved in key leadership in the church over the years, and then after some time I was working fulltime with the Boys’ Brigade. But I still did not feel that satisfaction and I knew there was something even more. It was, interestingly, only after I gave up the idea of going into fulltime ministry [that] the door opened for me to go into Bible school. My pastor encouraged me to enroll in Trinity Theological College. I graduated in 2013. TC: Do you mind sharing about your involvement in pioneering a new Tamil service at the Cathedral? How did those talks begin? JR: I finished Bible school in 2013. It was then that Bishop suggested that in 2014 January I would be posted to St Andrew’s Cathedral to start a Tamil-speaking work. But it didn’t materialise. And after my three years at Chapel of Christ the Redeemer, it was then that Bishop assured [me] that when the new vicar was posted in he would send me to Cathedral to start the Tamil work. Bishop felt I would be the right person to pioneer this work because I was involved in a pioneering work in my previous church where I served for 28 years. I wasn’t [the] pioneer, but I was there in the early stages. TC: Was that previous experience also in pioneering a Tamil service? JR: Yes. We were a small Tamil fellowship. The congregation grew steadily until we became a parish in 1992. TC: May I ask which parish? JR: My Saviour’s Church. It was the Tamil fellowship of Church of Our Saviour. TC: What will this service look like in terms of its vision for its community of God’s people who will gather there? JR: My desire is of course to see growth. Cathedral being Cathedral, many people would like to join or visit because it’s the Cathedral. But whatever their intentions might be, of course I’ll welcome them. Anybody is welcome to attend. But my vision and desire will not be for someone just to come and sit, just make up the numbers, or just fill up the space. I have a desire that we must grow and reach out – to the lost, broken, needy, lonely. TC: You are also the newly appointed Christian Education priest-in-charge. Can you talk about your hopes for CE? JR: Basically, now I’m just in charge of the Baptism and Confirmation course. It should not be just something for them to go through but something for them to experience and to start on the right foot, to start with the right foundation. I’d rather it be a memorable experience for them, a time also where the candidates can encounter God through the lessons, through the group discussions and even through the teaching sessions. 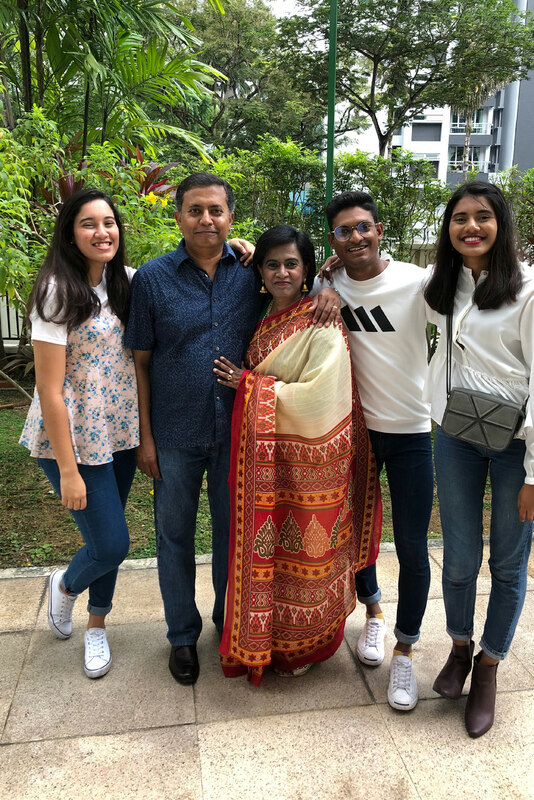 Revd Joshua Raj with his wife and three children. TC: Apart from all that, you are also attached to the Saturday 4.30pm Service as a fulltime staff member. What kind of function will you serve there? JR: We’re still in the process of working things out with Revd Freddy. For now I see my role as assisting him in all he needs to do. We have not defined an actual role [for me]. TC: Do you have any particular hopes for the Saturday Service, personally speaking? JR: Personally of course we want it to grow, and of course a stronger bond, fellowship, among the people. TC: Have I missed any area of ministry? JR: I was just appointed as the chaplain of BB. TC: It seems that you have a part in so many things! What might your past ministry experience have taught you about coping with pressure? JR: It was at my ‘home’ church, My Saviour’s Church. It was the year 1994. I was planning my wedding which was to take place in April, I acted as Jesus Christ for our Good Friday Evangelistic Drama in March, I was the Chairman of the Healing Rally Organising Committee which was to take place in June, and I was also planning for a Mission trip in July to India and Sri Lanka.By God’s grace, I got it all done within the space of 6 months. It was a hectic period but O thank God for the learning experience. And then in the year 2015, I was suddenly posted to Chapel of Christ the Redeemer, when they had no Vicar. They only had an acting vicar, he was not resident. [For] three years I served there as the lead pastor. I had to see to the day to day running of the church. It was quite intense for me to get to know the church and bring it together, get to understand the ministries, on top of my own personal challenges, taking care of my family. But by God’s grace, things worked out well. I’ve learned to realise that it’s the Lord who builds the ministry and we’re merely instruments, committed, available instruments. The Lord will take care of the rest. So just trust in Him, no matter how much pressure you may feel. Just trust in Him and He will take care of all things.